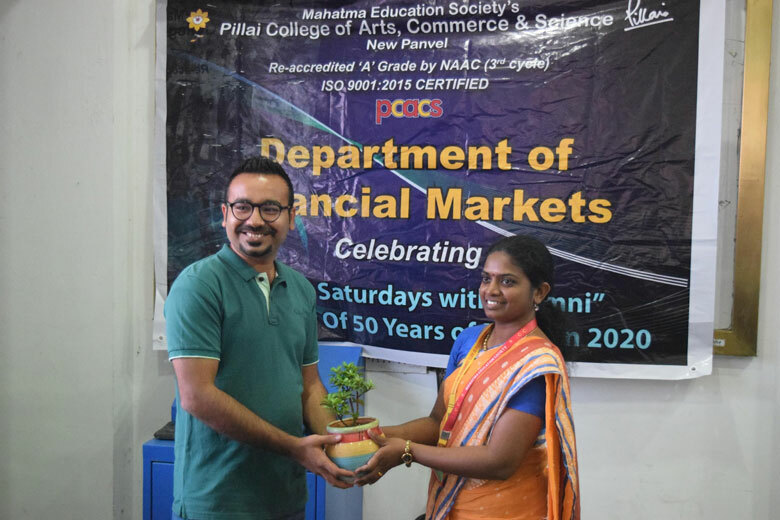 On account of completion of 50 years of Mahatma Education Society’s & 20 Years of Pillai College of Arts, Commerce & Science has initiated 50 Golden Saturdays Celebration as a part of which Department of B.Com Financial Markets has organised Alumni Meet on 23rd March, 2019. On this occasion B.Com. in Financial Markets alumni Mr. Akshay Kumbhar (Batch 2012-13), who works in HDFC Bank, Mumbai as a Deputy Manager of Custodian Services and Mr. Ankit Pingale (Batch 2013-14), who works in Morning Star Ltd. Company in Vashi as a Research Analyst, were invited to orient F.Y. & S.Y.B.Com. 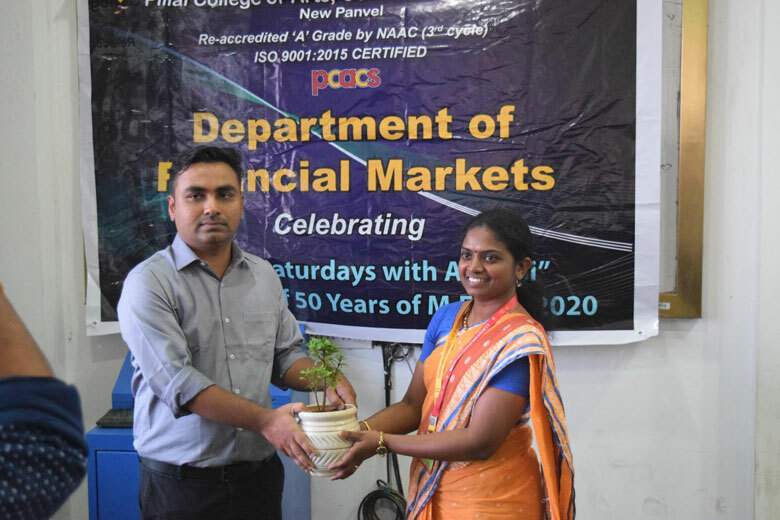 Financial Markets students on Scope & Opportunities available in the stream of Financial Markets and were also the judge for Quiz competition organized by the department. 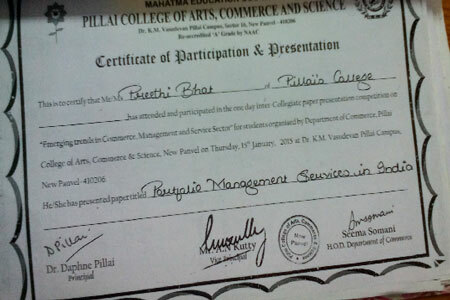 Our final year students attended and participated in One Day Inter-collegiate Paper Presentation competition organised by the department of commerce on 15th January. 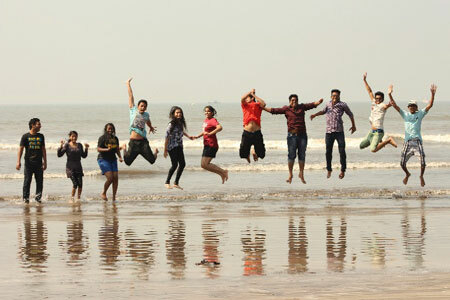 Organised a One Day Excursion Trip for the First and Second Year students to Alibaug on 2nd February. 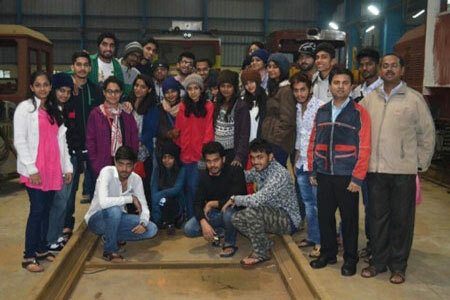 Industrial Visit was organised for the Final Year Students to Delhi – Dehradun – Massoorie – Rushikesh – Jimcorbett on 28th February. 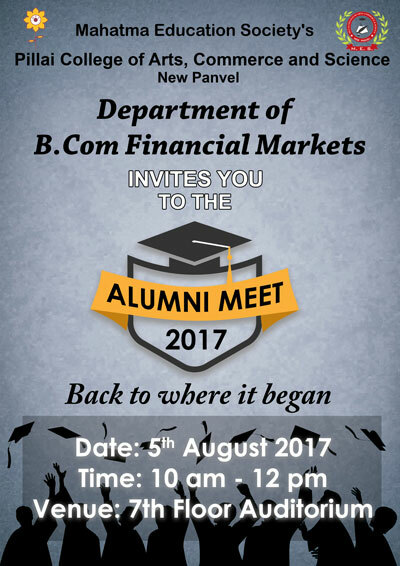 First and Second Year students organised Farewell for Third Year Bachelors of Financial Markets 2014-15. 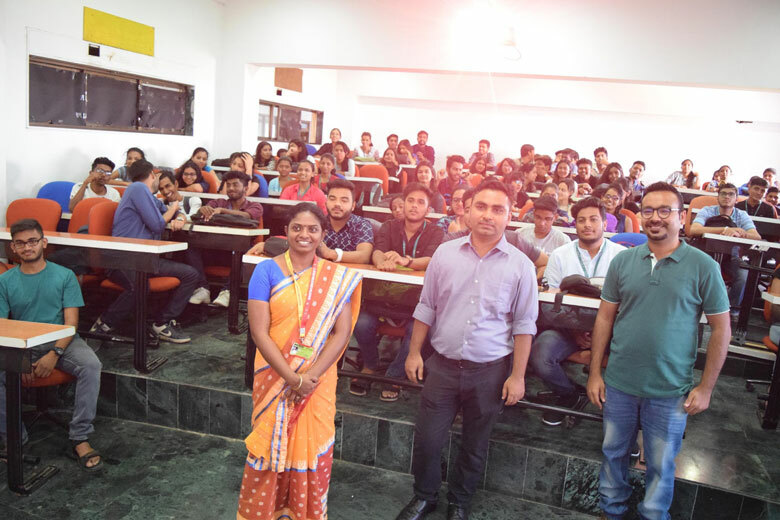 A Short term certificate course in ‘Basics of Securities Markets’, was organised by the department for the First year and Second Year students. 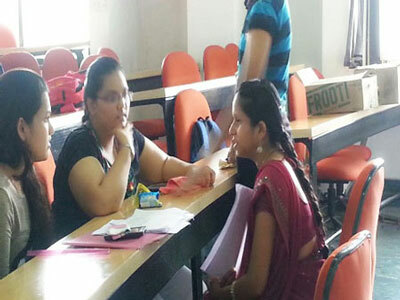 The Course was conducted by Ambition learning Solutions on 6th and 7th April. 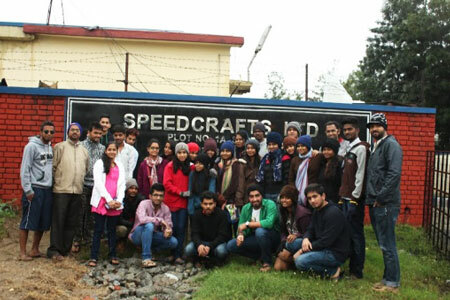 We at Pillai’s believe in inculcating in our students a sense of community and social responsibility. 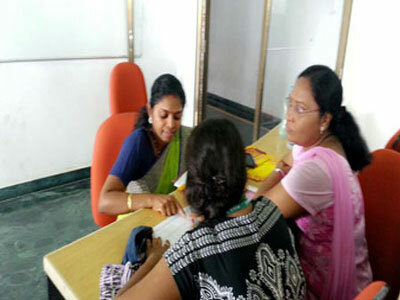 The Financial Market department initiated Community Programme which was spearheaded by Students of First Year, Second Year and Third Year students jointly. 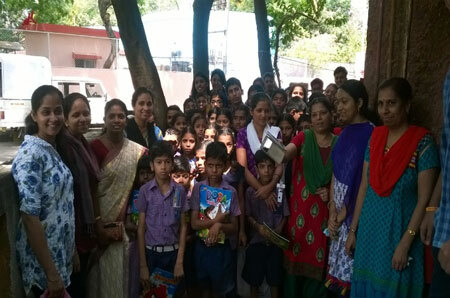 The Community service programme was organized on 12th April, 2015 at Rotary school for Deaf and Dumb students – New Panvel. 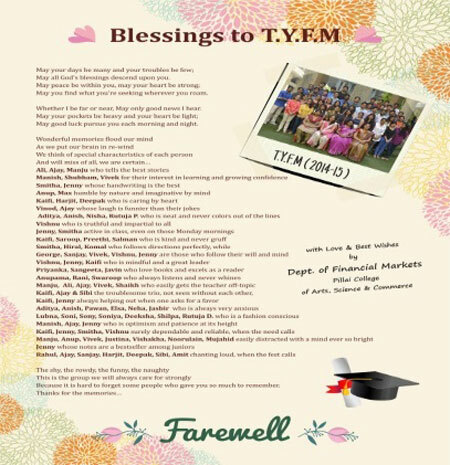 The Students gifted them with stationery items like pencils, crayon colors, drawing books and also distributed chocolates with the left over funds of farewell collections collected for T.Y.F.M. students farewell. 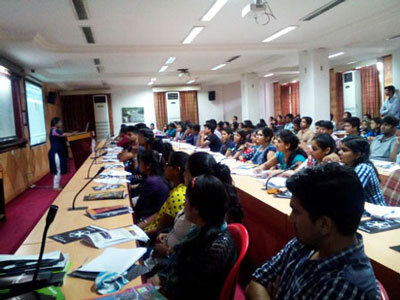 One Day Workshop on ‘Technical Analysis’ was organised for the students on 27th July. 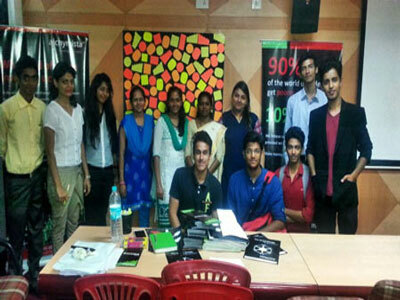 Mrs. Ashmita Patel of Alchemysta Trading was invited for the Workshop. 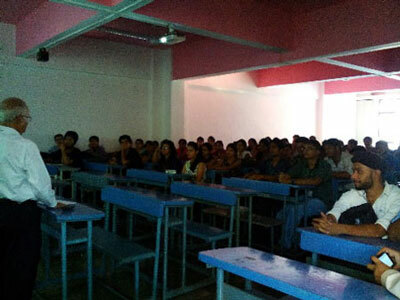 Conducted Parents Teachers Meeting for First year, Second year and Final year on 14th August. 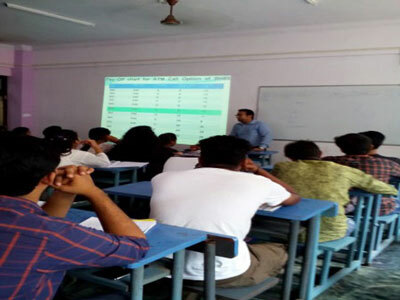 Invited its alumni Mr. Askhay Kumbhar a Sub Stock Broker to deliver a lecture on Derivatives Markets ‘Futures and Options Trading’ for our Final Year Students on 12th September. 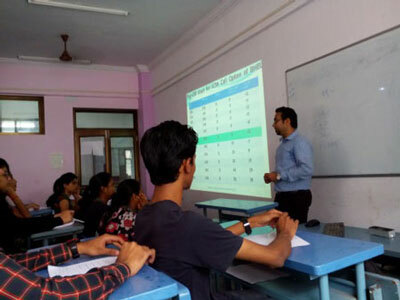 Conducted Guidance Lecture by inviting Guest Lecturers from different colleges to guide the Final year students of Semester V in subjects like Global Capital markets, Foreign Exchange Markets, Regulations of Securities Markets and Derivatives Markets etc. on 28th and 30th September. 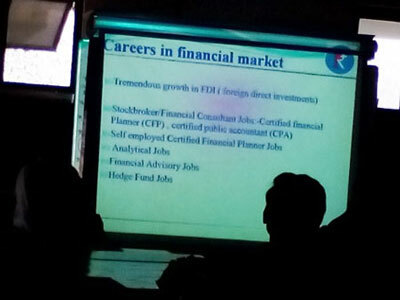 Organised a Lecture on ‘Career in Financial Markets’ for the students. 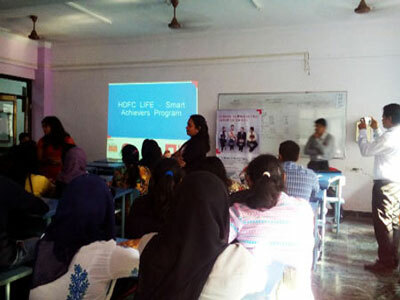 The lecture was delivered by Mr. Naresh Yawalkar on 10th December. 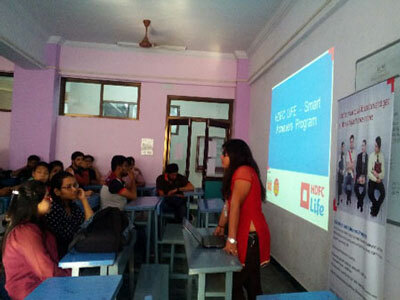 Organised a Lecture on ‘Career Development in Insurance’ conducted by HDFC LIFE for the students on 18th December.